If you want to make serious money from blogging, you must need to follow the fellow bloggers. Our fellow bloggers are our real hero. They already started their earnings. This is number 7th episodes on Talkandtalkers Interview Series. Today, My guest is kulwant Nagi. He is one of the greatest blogger in blogsphere. When I was knocked him with a interview request, I got qucik reply with “Yes”. His blog “BloggingCage” is one of my favourite blog. People who early started their blog can visit bloggingcage.com You will get lots of useful tips as per your needs. I am very thankful to Kulwant Nagi for giving me a such a wonderful opportunity. Again thanks……..Let’s start……. Hello Friends. It’s Kulwant Nagi who started his blogging journey in September, 2011. By qualification I am B.Tech degree holder in electronics and communication. Right now I am managing 2 big blogs and 5-6 niche blogs. On one of my blogs I have 4 writers so I talk with them after 8:00 PM and allot them their work.These days I am spending 13+ hours for my blogs. Have you ever made mistakes as a newbie blogger? If yes, what were they and what lesson did you learn from them? Check my article about 3 biggest mistakes. Best feature – It’s free. Worst feature – It cannot be used without hosting. I struggled a lot for getting traffic on my blog. I was very active in Facebook groups, forums and used to share my link everywhere. Soon I understood the power of SEO so started making my blog more SEO friendly by making it HTML5 and Schema compatible. I am still adding and removing many elements to make it more SEO friendly. By learning how to write and engage.Blogging is all about helping the world with your tips and to deliver your tips you must have good writing skills.Making money online is easy if you know what you are doing and in which direction you are going. Most of the people fail in blogging because they want to try everything, they want to cover everything on their blog.. and ultimately they fail.Pick any one topic, become master of it, make money with it and then move further to repeat the same steps. PageRank is just a factor which Google calculate according to the quality links pointing to your website. 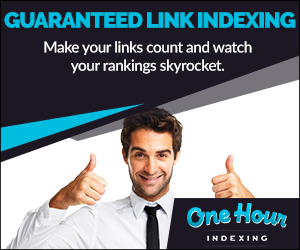 Having a higher pagerank is the sign of authority so obviously it is a ranking factor as well as to get good amount of traffic from search engines. Once you will start writing good content, you will automatically get good rank because more people will start talking about it and ultimately you will start getting natural links. No.. PageRank can be manipulated very easily these days. Place your link on some high PR pages and you will get good PR in next Google update. So there is no relation of PageRank of new website and getting traffic on it. I monetize my blog with affiliate marketing and sponsored articles only. When I started guest blogging contest last year where I gave $650 worth cash price and digital goodies. Best moment was when everywhere people were sharing their guest posts written on my blog to get more exposure and more comments. Success in blogging is not that much hard which people are talking around you. It’s all about picking on topic and keep doing it consistently to get success. In my case I made my first dollar after 7 months. So blogging is all about keep moving daily.